You can say a lot about Epic and Fortnite but you can’t say they’re slow to react. When there’s an advancement in the battle royale genre, Epic makes no bones about taking what works in those games and applying them to Fortnite. That probably explains the newest update to Fortnite, which adds Apex Legends’ (and some other battle royale games’) respawn mechanic to Fortnite Battle Royale. Dubbed “the Reboot Van,” the new feature has the same function as beacons from Apex Legends. When someone on your squad bites it, you can collect their reboot card alongside their loot. Cash the reboot card in at a reboot van to bring said squadmate back. But it’s a van, so very different. 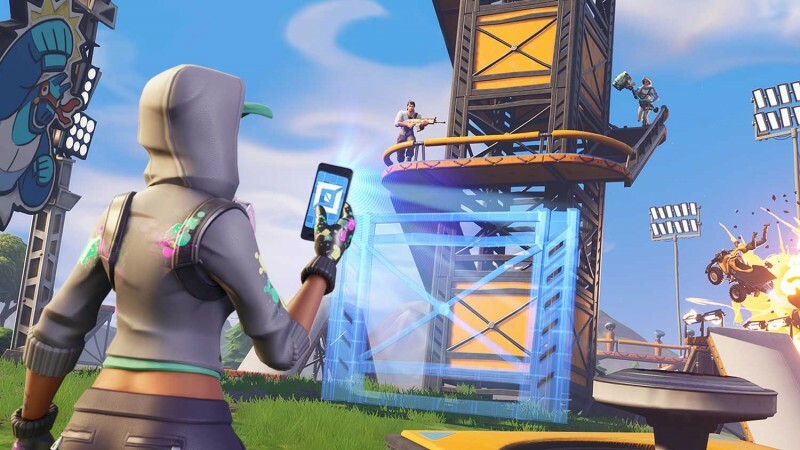 Epic has made some Fortnite-style tweaks, to be fair. Using the van causes the alarms to go off, alerting anyone nearby. Whoever’s not nearby will see shafts of light erupt from the area, telling everyone how many people are being revived. It’s a risk to use, because it’s basically holding up a flashing sign telling everyone to come take you out. The vans have been rumored since very near Apex Legends’ release at the beginning of season 8, but it remains to be seen how they’ll have an effect on the ebb and flow of a Fortnite match.